A true collector NEVER catches up. What is The To Watch Pile? Film: Even though for a period everything horror felt like it was a remake of something from Japan, some pretty good films came out, and bare in mind I am not typically a ‘ghost’ horror movie fan, as I like my horror more real… Or inbred… Or angry. It would appear that the so-called j-horror stuff hasn’t completely faded away and occasionally a western film (that’s one not from Asia, rather than one with Cowboys in it) will take some of the elements of those Asian ghost stories and make them its own. 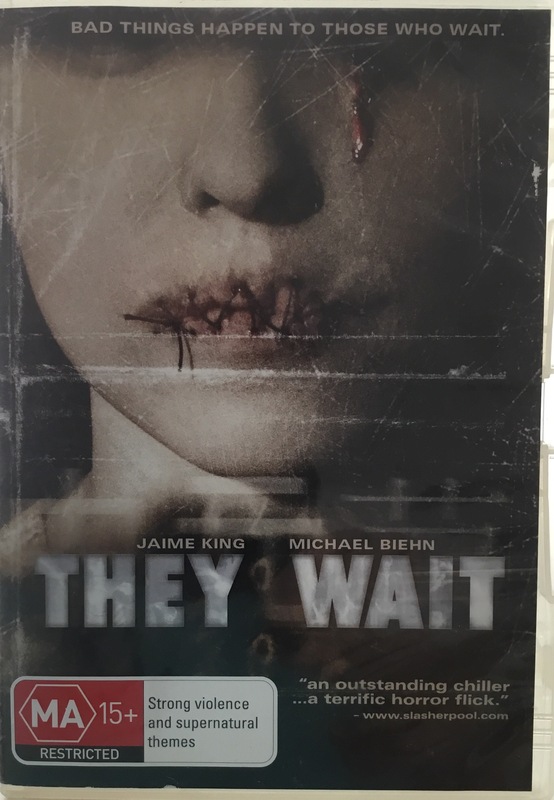 They Wait is such a film. 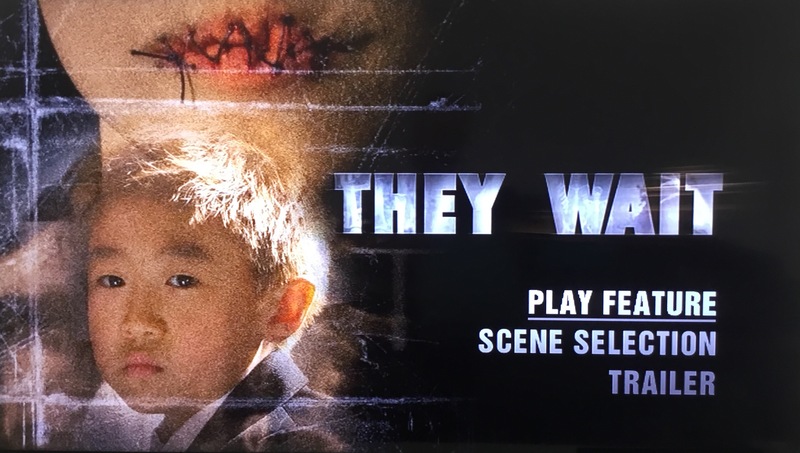 They Wait tells of married couple Jason (Terry Chen), his wife Sarah (Jamie King) and their son, Sam (Regan Oey) who have to return to America from their home in Shanghai to attend the funeral of Jason’s Uncle Raymond (Colin Foo). 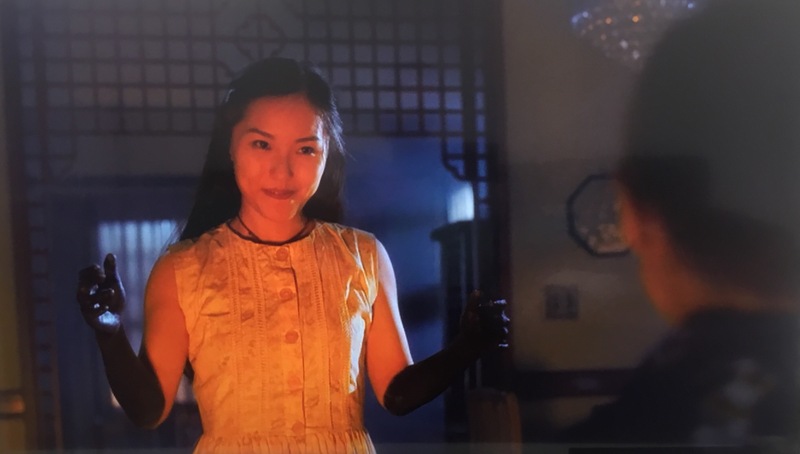 They stay in Raymond’s house, which also contained their fabric business, with Jason’s Aunt Mei (Cheng Pei Pei) but after seeing visions of a young Chinese girl with black arms, Sam falls sick and is admitted to hospital in a coma. Sarah begins investigating the situation and finds that Jason’s Aunt and Uncle’s business may have had a much darker past, and that her and Sam have a gift which allows them to see into the spirit world, but will she be able to find a way to save her son? There is a lot to like about this film. 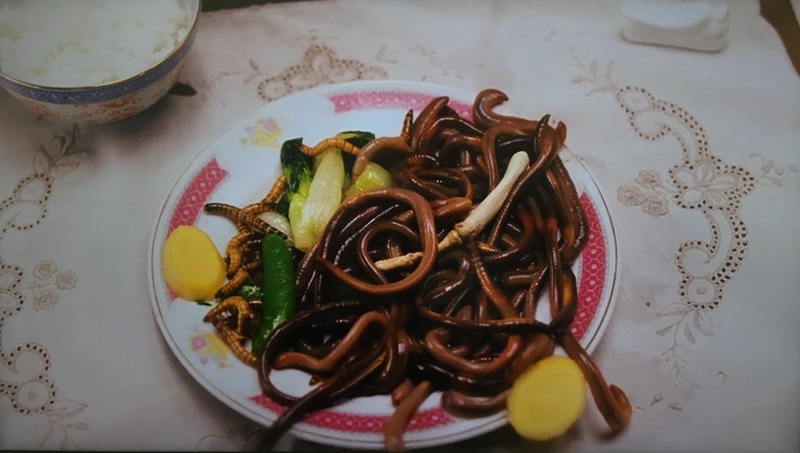 The three main cast are likeable and feel like they could be a real family unit with some of the issues that a family of mixed origins can face (in this case, the disapproval of older relatives in the lack of Chinese language skills being instilled in Sam). The story is solid, and a few dodgy effects aside, has some great moments. There’s a few editing faux pas, particularly in a shower scene where a showering King is clearly supposed to be naked and vulnerable, but booby bindings can clearly be seen several times. More bizarrely, the name of a hospital on an ambulance is blurred like a criminal’s face on the news in a rush-to-hospital scene. There is a few moments of preposterous-ness too. Picture yourself in a forest hunting with a few mates when suddenly you get left behind. You hear a noise and turn to look at a tree that has mysterious scratches appear on it before your eyes, and from those very scratches a red liquid starts to seep from it… Do you freak out and run away? Does your mind snap, Lovecraft style, and cause you to crumble in a whimpering heap? No, in this film the person in question STICKS HIS FINGER IN THE LIQUID AND TASTES IT. Yeah, because that’s what you’d do. One real disappointing aspect is Michael Biehn is given second billing, but seriously, and with little exaggeration, is in the film for no longer than 4 minutes providing little more than a backstory for King’s character (she used to work in newspapers) and doing some research (which if King used to work in newspapers, she is probably more than capable of using Google). Anyway, I quite liked the film. It feels like you are watching a j-horror remake due to its trappings be comparable, but with an original tale. When it premiered it was lauded as some kind of amazing horror saviour; it’s not but it’s pretty good. Format: This film was reviewed on an Australian release DVD, and runs for 85 minutes. The film is presented in a satisfactory 1.76:1 image with a Dolby Digital 5.1 soundtrack. WISIA: It’s a pretty good western impersonation of a Japanese ghost story, and one that I have already enjoyed several times. Could be worth a watch if it ends up on SBS On Demand. And in that picture that oriental gal looks like her what was in Miike’s AUDITION. She doesn’t saw someone’s foot off, does she?